Here is a quick tutorial on how to disable lock screen in Windows 8. The lock screen feature in Windows 8 is much more interesting and efficient application, but seems like more sensible in Windows phone and tablet PC. 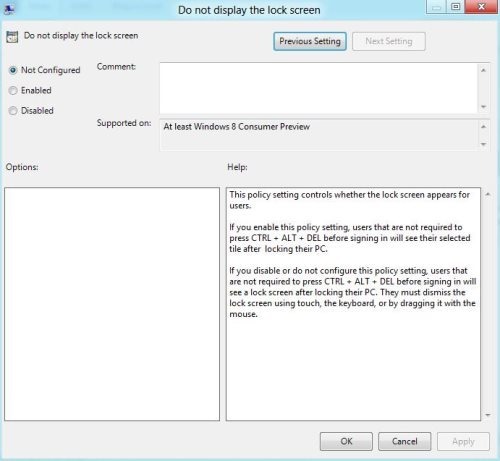 However, it is an easy task to disable lock screen in Windows 8, if you are using in desktop or laptop instead. 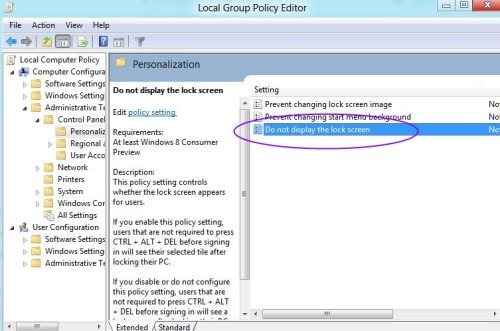 Lets go ahead with the tutorial on disabling lock screen in Windows 8. 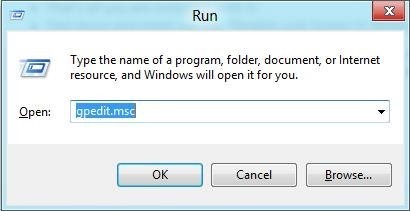 First thing you need to do is, press Windows + R to launch run on your aero desktop start screen. 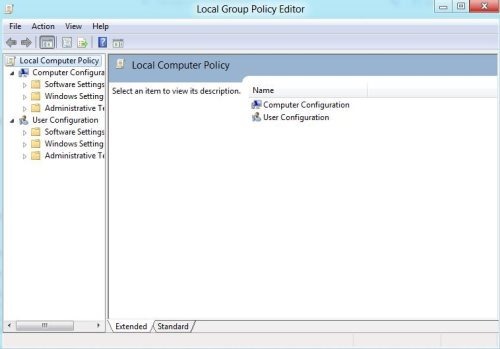 “Local Computer Policy” would be explored in front of your screen. Click on “Don’t display the lock screen” option given at the right-screen. Change the radio button from default “NOT Configured” to “Enabled”, hit “Apply” to complete the procedure. That’s all you are complete with it. Test down and check out the “Disable Lock Screen In Windows 8”. If, at any point of time you are required to enable lock screen on your Windows 8 PC or laptop, just follow the same procedure to enable lock screen in Windows 8. Also check out our post on how to create backup in Windows 8.